Which is the right one? Magento, the Champ? OpenCart, the Startups Winner? Prestashop, the Famous? Part 1 of this two-series article deals with the best features and functionalities of three open-source ecommerce solutions. We had Magento, Opencart, and PrestaShop on our table. If you read Part 1, you may have some idea of which you will choose for your webshop. While we have laid the best of the three ecommerce solutions, we will be giving you the downsides to provide you with fair information. But of course, the final decision is yours as the entrepreneur. Our role is to give the sufficient and fair information to guide you on your major decisions. There are less experienced Magento developers. There are three major areas that are not to be compromised when it comes to web developing: design, server side programming, and client-side programming. It is difficult to find these areas in one roof. 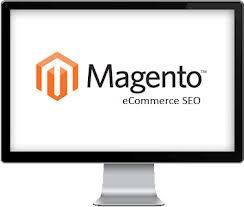 Magento needs an experienced and reliable store management and hosting setting. There are some issues regarding Magento’s speed performance. 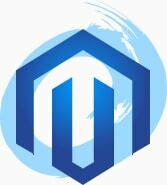 The truth is, when Magento is inappropriately hosted and built, it will perform badly. If you want Magento to perform its best, you need to invest on good server and a reliable and experienced web developer agency to build its server and manage it. Customers’ reviews affirm that PrestaShop lacks support and help for customers’ queries and concerns. 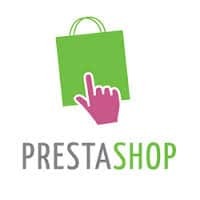 PrestaShop lacks modules to be fully functional as a web shop. Modules are important for the website to be operational or functional. It lacks scalability. Prestashop works best with small online stores but you may have some issues when you go full-blown with your business. It does not have multi-user interface. Difficulty in using its built-in SEO/SEF functions. Thus, developers tend to find other alternative like using a third-party add-ons or cutting its core SEO functions. We hope that we have provided you with a better picture of the three famous ecommerce solutions for your business. We are not recommending choosing the best, but opting for the solution that is right for your business. What may be best for some businesses may not be the best for your business. Choose ecommerce solution that will answer to your business requirements. You can contact CreativDigital for free consultation. The organisation has a competent and reliable team of web developers who can guide you to choose the right ecommerce solution for your business. Share your thoughts with us and ask questions so that we may know what is on your mind!